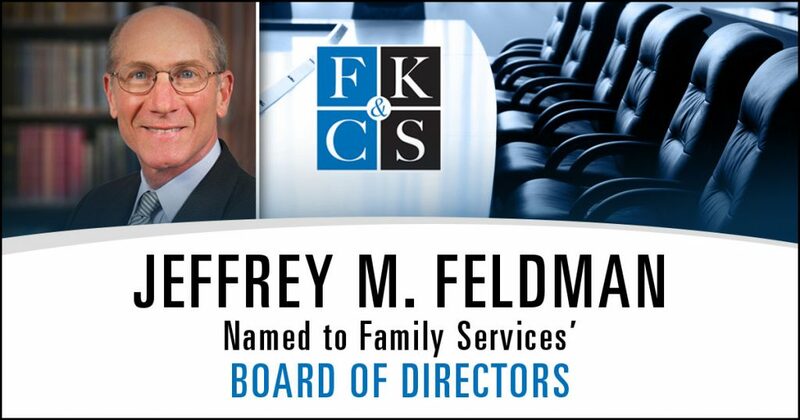 Feldman, Kleidman, Coffey & Sappe LLP (FKC&S) a Fishkill, New York-based law firm with clients throughout the Hudson Valley and Capital District, announces that Founding Partner Jeffrey M. Feldman has been named to the Board of Directors of Poughkeepsie-based Family Services, which provides behavioral health, youth, family, victim and other services throughout the Hudson Valley. The three-year team began on January 1. 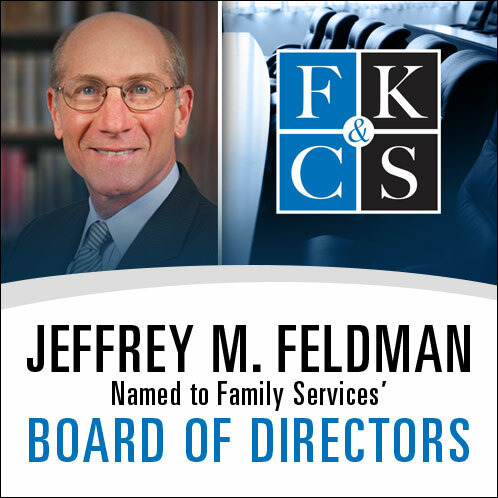 Among Feldman’s many legal recognitions are being named as a U.S. News – Best Lawyers ® “Best Law Firms” every year since the directory was launched in 2010, achieving an AV® rating with Martindale-Hubbell for 26 years, placing him in the top three percent of attorneys nationwide, and winning the 2016 Dutchess County Regional Chamber of Commerce’s Headliner Award for Leadership in Business and Community. Additionally, FKC&S was recognized by Legal Services of the Hudson Valley’s 2018 Dutchess Partners in Justice awards as an Advocate for Justice. Feldman is a member of the New York State Bar Association, the American Bar Association, the Dutchess County Bar Association, the New York State Trial Lawyers Association, the American Association for Justice and the New York Medical Defense Bar Association. Part of the community since 1879, Family Services has been making a difference in people’s lives for over 135 years. Family Services provides programs and services in the Hudson Valley such as: Youth Services, Family Programs, Victim Services, Prevention, Community Safety and the Family Partnership Center; all designed to strengthen individuals, families and community. A key program of Family Services is the Family Partnership Center, a 100,000 + square foot center in Poughkeepsie where currently 19 not-for-profit and related organizations are brought together in partnership for the purpose of collaboration toward a unified approach to human services and building community. The mission of Family Services is to help families and individuals help themselves through direct services, collaboration, and advocacy. Last year over 11,000 children, adults, and families benefited from Family Services programs located in Dutchess, Orange and Ulster Counties. In 2019, Family Services will consolidate with long term affiliate, Hudson Valley Mental Health, in order to provide behavioral health services throughout Dutchess and Ulster Counties. Family Services is committed to Providing Hope, Improving Lives and Strengthening Community.